Nardus stricta/Festuca ovina (U5) dominant site (Grid ref. SN823 673) Situated on the Elenydd NATURA 2000 site of special scientific interest. 440 metres above sea level. Aprox. 39km south east of Aberystwyth, 20km south east of ADAS Pwllpeiran. 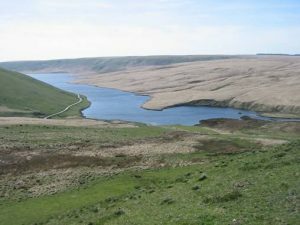 This is a NATURA 2000 site owned by the Elan Valley Trust but managed in consultation with the Countryside Council for Wales (CCW).